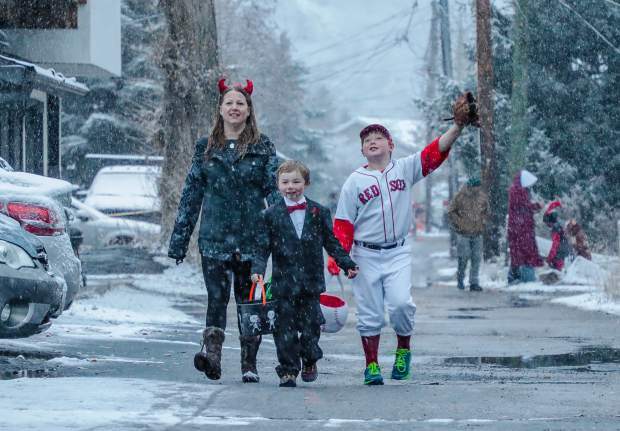 From left, Jennie, Sam, 6, and James, 9, don't let snow get in their way of collecting candy during the annual Minturn Trick or Treat event Tuesday, Oct. 30, in Minturn. Hundreds, if not thousands, showed up for the annual event through downtown Minturn. 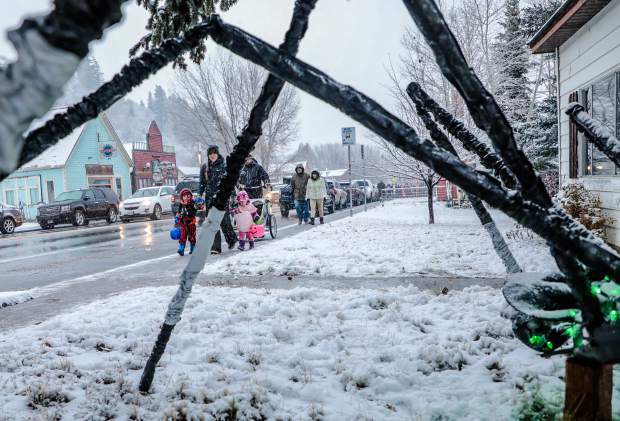 People stroll down Main Street in the snow Trick or Treating Tuesday, Oct. 30, in Minturn. The spider, which is in the foreground, is one of many excellently decorated residences in Minturn. 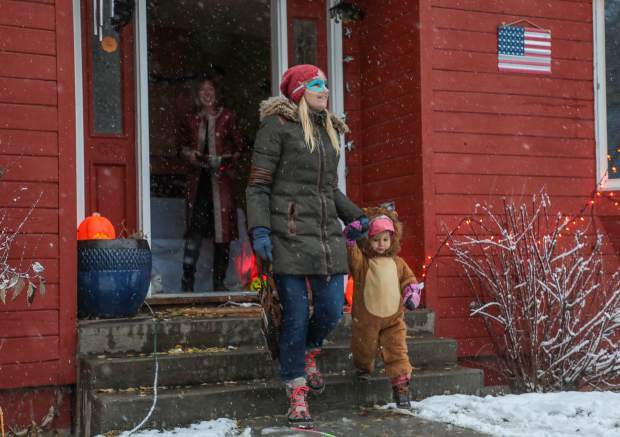 Shannon Daniel and Irie Meyer, 3, get candy from Jean Flaherty during the annual Trick or Treat event Tuesday, Oct. 30, in Minturn. 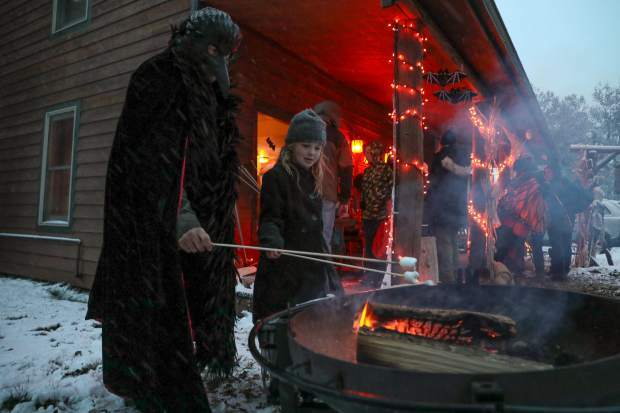 S'mores and fires went hand-in-hand at The Minturn Inn during the annual Trick or Treat event Tuesday, Oct. 30, in Minturn. 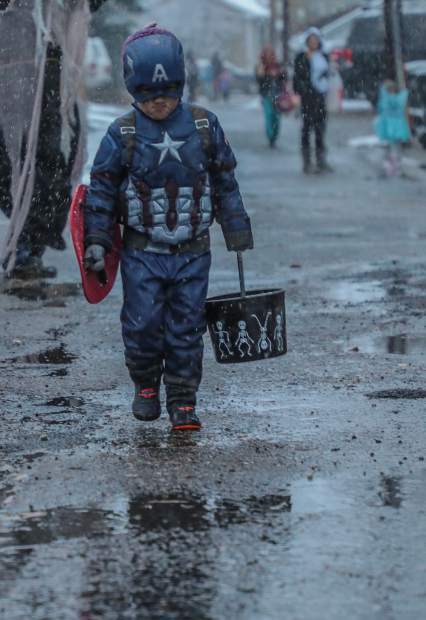 Strait McCullough, 3, also known as Captain America, strolls down the street to the next candy stop at the trick-or-treat event Tuesday, Oct. 30, in Minturn. Trick-or-treaters make their way around Main Street on Tuesday, Oct. 30, in Minturn. 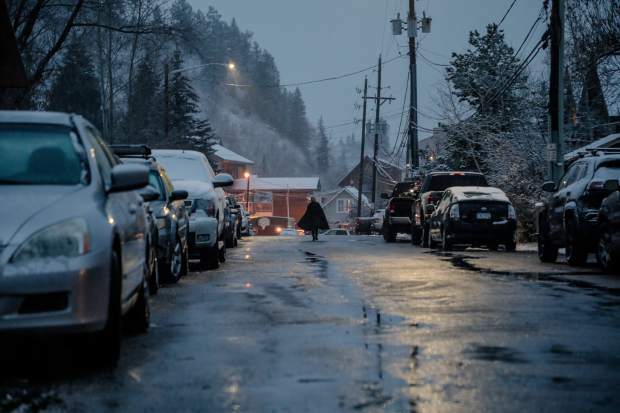 A lone capped costume-wearer stolls down the streets Tuesday, Oct. 30, in Minturn. 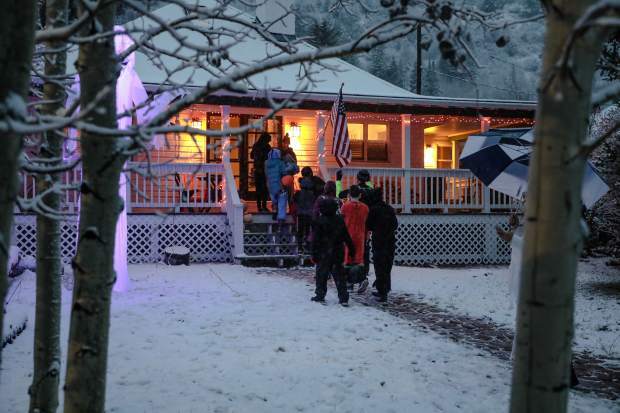 Hundreds of children and parents came out to Minturn on Tuesday, Oct. 30, to go trick-or-treating at the town’s annual event. Drivers are reminded to watch for children as Halloween festivities get underway in neighborhoods throughout the Vail Valley on Wednesday night.